As an attorney, regardless of your area of practice, you’ll likely encounter a client who has suffered an injury on the job. It may not be your area of expertise, so you may assume that any personal injury lawyer can handle the matter. That’s not necessarily true—the workers’ compensation system has it own rules and procedures and functions very differently from most other personal injury claims. At the law office of Pyrros & Serres, we have more than 50 years of collective experience dedicated to effectively handling workers’ compensation claims. 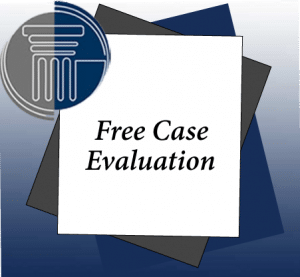 We’ve prepared this series of blogs to help other attorneys assess whether to refer a client to a knowledgeable workers’ compensation lawyer. Unlike most types of personal injury, workers’ compensation benefits are statutory, a part of what is known as the “great bargain.” They are designed to streamline the process for both injured workers and employers. For workers, benefits can be available in a number of weeks, unlike a civil suit for damages, where an injured person may wait months or years to see any remuneration. For employers, there’s the benefit of a relatively fixed formula for determining benefits–workers’ compensation payments are calculated as a percentage of the injured employee’s “average weekly wage (AWW).” For that reason, an employer doesn’t have the concern that a sympathetic jury will return an exorbitant damage award. As a general rule, workers’ compensation claims are not filed and are not heard in the civil courts, but through the Workers’ Compensation Board and by specialized workers’ compensation judges or referees. Furthermore, the initial appeals in a workers’ compensation dispute are handled within the workers’ compensation system, not in the civil courts. With respect to the treatment an injured worker can have covered by a workers’ compensation claim, there are Medical Treatment Guidelines that must be followed, except when a worker requires emergency medical treatment. It’s important, though, to understand that an injured worker can often file a workers’ compensation and a personal injury lawsuit in civil court. Workers’ compensation is designed to cover only the wrongful acts of an employer or a co-worker. If you suffer an injury caused by an unrelated third party—the manufacturer of a dangerous or defective tool or machine, or the driver of a motor vehicle—you can bring a separate action for those losses. However, you can’t recover twice for the same loss—if workers’ compensation pays your medical bills, you can’t recover a damage award for those same bills in a civil suit.